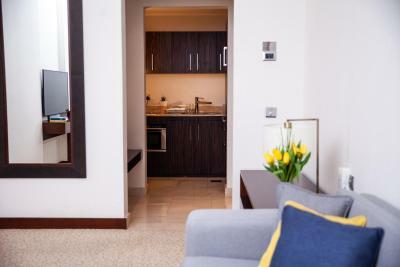 Lock in a great price for voco Dubai (Formerly Nassima Royal Hotel) – rated 8.5 by recent guests! We had a problem with the booking at first, but they compensated it with an updrade to a superb suite. We got off to a little bit of a rough start with our stay here, but all creases were very quickly ironed out. Had a nice and early check in with an upgrade to one of the suites. Let me tell you, their suites are GORGEOUS, spacious and the view is phenomenal! The room was very clean and well equipped for all your needs Great breakfast spread with very efficient and friendly staff. Excellent service by the hotel as they went above and beyond to meet our requests and understand our needs. The location Thanks to The Guest Relation MGR ِMr. Adnan & to the house keeping MGR who tried hard to meet our experience and make us happy as much as they could, our room was ungraded to a nice suite and they offer us a dinner and fresh breakfast. Pleasant stay. The reimagined hotel under Voco branding has definitely added on to the already lavish yet comfortable accommodation and facilities. I have stayed at this hotel for years and have always found them exceeding my expectations. Very nice room, good breakfast buffet, very friendly staff. All staffs were so accommodating! Carlos mentioned he gave me an upgrade to my room. It was a perfect bday celebration for me, I had the best room and view. Also, Anwar brought our luggages in the room and explain how to use the facilities. All our requests were delivered. They all assisted us with excellent service and with a smile. Lastly, the hotel is accessible to the metro, cafe and restaurants. I definitely recommend! Nice view from 39th floor. Comfortable room with everything needed. 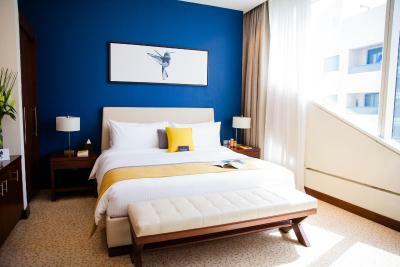 voco Dubai (Formerly Nassima Royal Hotel) This rating is a reflection of how the property compares to the industry standard when it comes to price, facilities and services available. It's based on a self-evaluation by the property. Use this rating to help choose your stay! One of our top picks in Dubai.With a premium location on Sheikh Zayed Road, this 5-star hotel overlooks the Dubai World Trade Center. It features 4 restaurants, an outdoor pool and spacious meeting rooms. 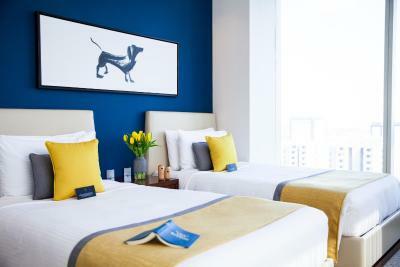 471 guestrooms and suites share a contemporary style characterized by marbled entrances and vivid accent colors. Every room also showcases free high-speed wireless Internet, a flat-screen LCD television, an alarm clock and has a spacious bathroom with luxury amenities. voco Dubai (Formerly Nassima Royal Hotel) features international restaurants, offering a variety of world cuisines, while the bars provide places to unwind after a day in the city. Guests can enjoy state-of-the-art recreation facilities, including an outdoor pool area with a view of Jumeirah Beach, a health club, with options of personal training, as well as the luxury Spa Zen. 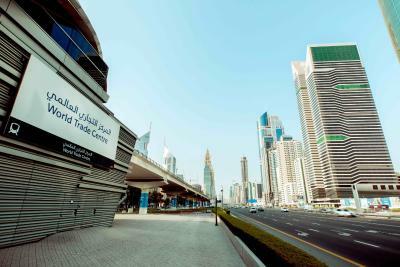 voco Dubai (Formerly Nassima Royal Hotel) offers airport pick up adnd drop off. 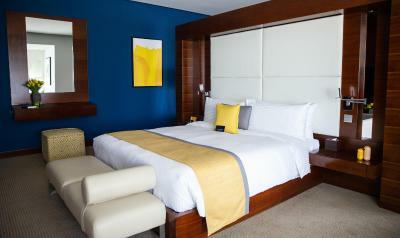 When would you like to stay at voco Dubai (Formerly Nassima Royal Hotel)? 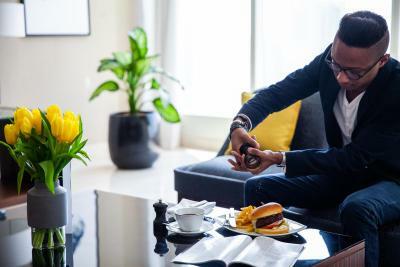 Spaciously located on the prime corner areas of the hotel with great panoramic views afforded from the 8th to 11th and 21st to 41st floors, these rooms feature a well-appointed lounge area, plus a comfortable king bed. This room also offers complementary Wireless Broadband, HD TV, coffee & tea making facilities and a premium Mini-bar as standard. 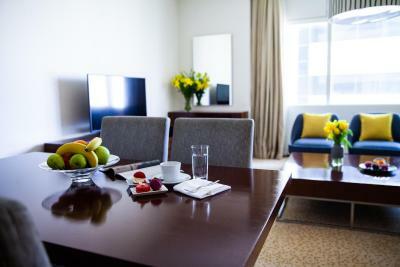 This spacious suite located on 12th to 18th floors features a living room with a HD TV, coffee and tea making facilities, premium mini-bar, dining area, washing machine and kitchenette. Wireless broadband is also offered. 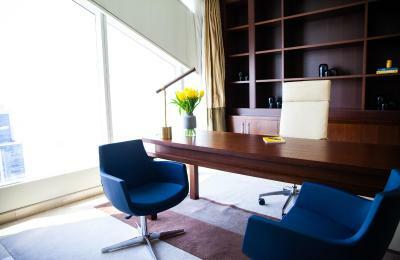 Located on 8th and 11th floors, this rooms offers king sized or twin beds. It also has a lounge, a private bathroom and floor-to-ceiling windows, providing uninterrupted views of the city and beach. 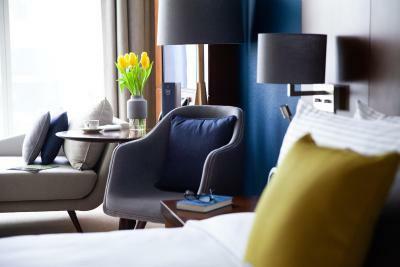 Complementary Wireless Broadband, HD TV, coffee & tea making facilities and a premium Mini-bar are also featured. 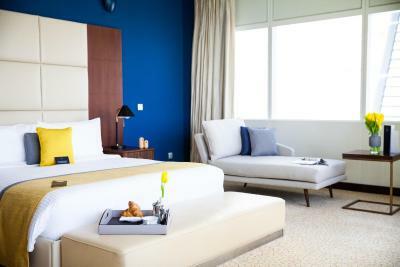 This premier deluxe room features views of Jumeirah beach. It includes a king size bed, luxurious lounge area, study, exclusive amenities, premium mini-bar, Nespresso machine and tea making facilities. 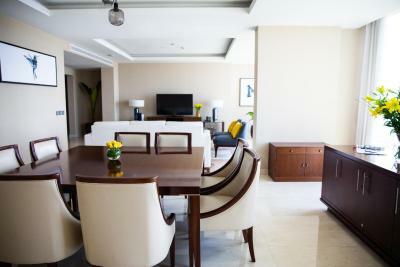 This spacious room located between 43rd and 48th floor offers views of Jumeirah beach, king or 2 single beds, coffee and tea making facilities, HD TV, premium mini-bar, royal lounge access and wireless broadband. 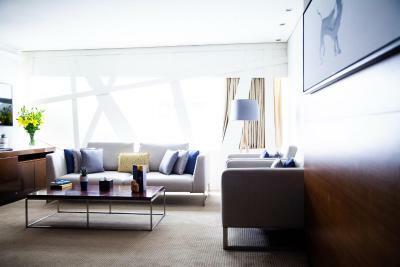 Located on the 48th floor, The Royal Suite offers a panoramic view. 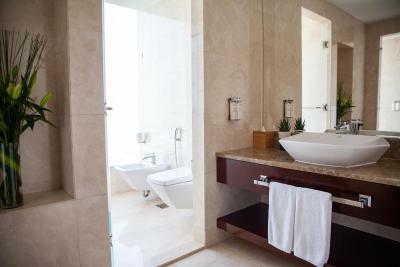 It includes 2 bedrooms, space, comfort, deluxe amenities, a separate dining and living space with HD TV . 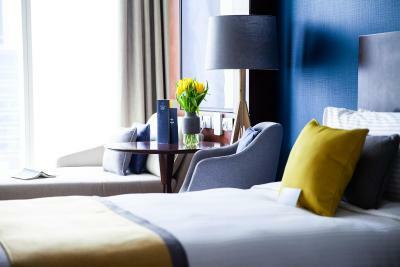 This suite features separate bedrooms, a large dining table, a private office for work, coffee and tea making facilities, a guest toilet and a fully-equipped kitchen. Complimentary wireless broadband is provided. Guests can enjoy exclusive access to the royal lounge. 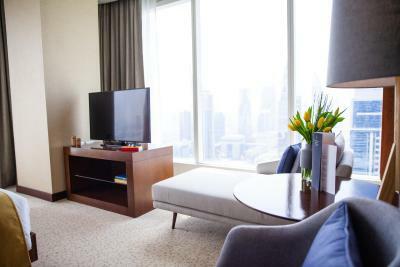 This double room located on 21st to 41st floors features city views, HD Tv, floor to ceiling windows, king bed or 2 single beds, lounge area, coffee and tea making facilities and a premium mini-bar. Complimentary wireless broadband is provided. Rising 51 storeys above the streets, the Nassima Royal Hotel immediately catches the eye with its striking metal and glass exterior. 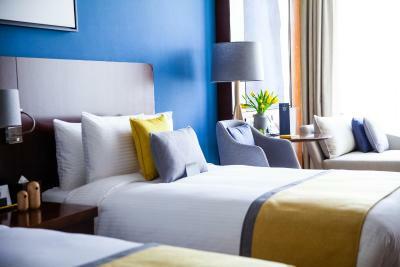 The rooms showcase a wide range of amenities and a clean, modern style accented with vibrant bursts of colour. 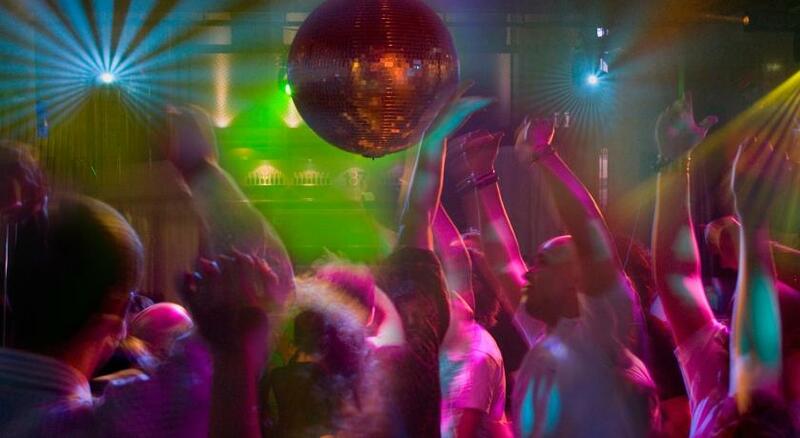 House Rules voco Dubai (Formerly Nassima Royal Hotel) takes special requests – add in the next step! voco Dubai (Formerly Nassima Royal Hotel) accepts these cards and reserves the right to temporarily hold an amount prior to arrival. 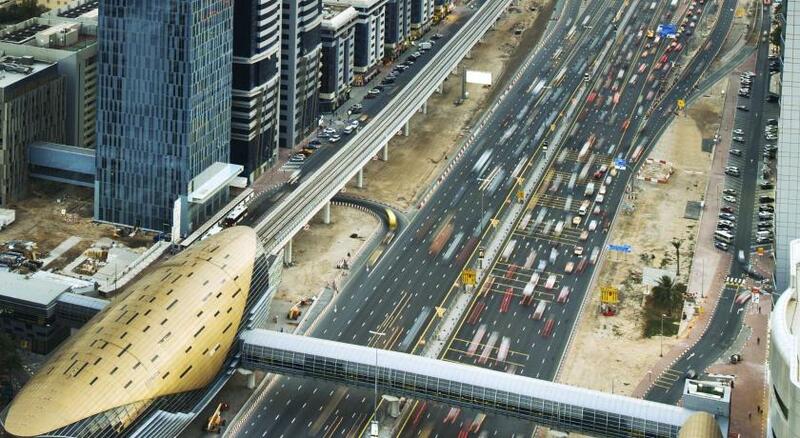 Please inform voco Dubai (Formerly Nassima Royal Hotel) of your expected arrival time in advance. You can use the Special Requests box when booking, or contact the property directly using the contact details in your confirmation. Payment process. I paid through card n although amount was deducted but not received at the hotel account. I had to manage payment through other means and still my card amount has not been reverses. Fantastic front desk service from Kudzie who helped arrange an early check in for me, and to the guys at the gym reception for letting me shower and relax while waiting for my room to be ready. 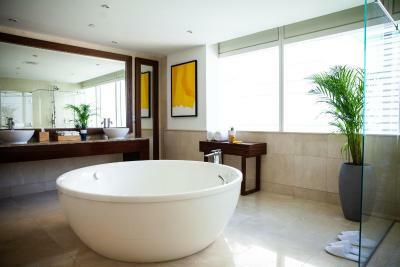 Amazing view from bathtub! Breakfast buffet was delicious! I was staying with my 75 year old Mum who arrived a day after me and was brilliantly helped at reception on her arrival. Location was fantastic - so much closer to World Trade Centre Metro stop than I thought. 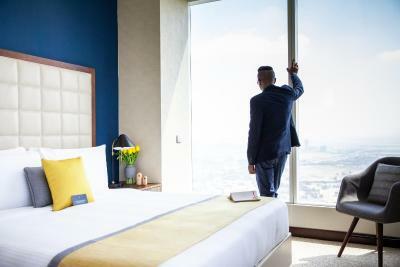 Everything about my stay was brilliant - I highly recommend Voco as an ideal place to stay in Downtown Dubai! Disturbing smell at toilet between time to time. Excellent comfortable Hotel near metro station. I booked here several times, because i always had a pleasant stay, Beds and pillows comfortable, nice bathroom. We stayed two nights. Buffet Breakfast was superb, lots of choice and very fresh. Room was comfortable and clean with an extra large bed. Handy location near World Trade Centre Metro stop. The pool was nice but we couldn't get anywhere near it on our first day as it was so busy. Front desk staff was fantastic.